Significantly, the report published in the Lancet found that men had higher blood pressure than women in most world regions in 2015. 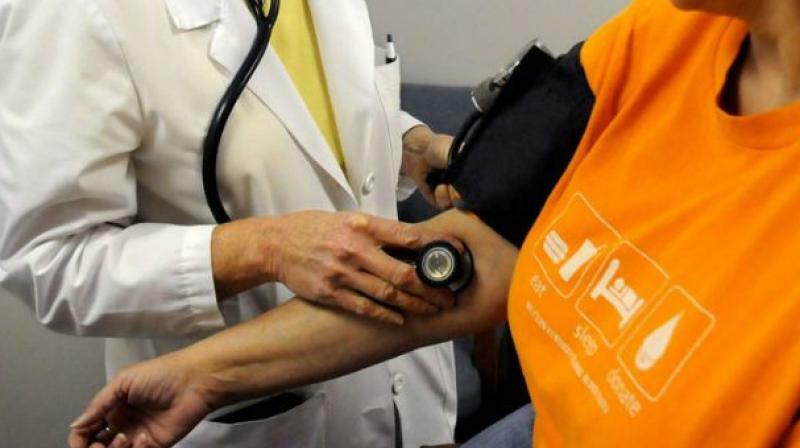 New Delhi: In a startling revelation, a new study has found that in the past 40 years number of people living with high blood pressure has almost doubled worldwide — rising from 594 million in 1975 to over 1.1 billion in 2015. According to the findings, average blood pressure levels are at all-time low in developed countries like UK, USA, and Canada, but are high and rising in developing countries in south Asia and sub-Saharan Africa. The report suggests that in 2015, over half (590 million) of adults with high blood pressure lived in east, southeast and south Asia, of whom 199 million lived in India and 226 million in China. Significantly, the report published in the Lancet found that men had higher blood pressure than women in most world regions in 2015, with largest rise in the prevalence of adults being seen in low- and middle-income countries in south Asia, including Bangladesh and Nepal and sub-Saharan Africa — Ethiopia and Malawi. However, the good news is that high-income countries, including Australia, Canada, Germany, Sweden and Japan, have made impressive reductions in the prevalence of adults with high blood pressure. Notably, as per the most comprehensive analysis of worldwide trends in blood pressure, over the past four decades, the highest average blood pressure levels have shifted from high-income western countries from Norway, Germany, Belgium, France, including Asia-Pacific countries like Japan to LMICs in sub-Saharan Africa, South Asia, and some Pacific island countries. Significantly, high blood pressure remains a serious health problem in central and eastern Europe — Slovenia, Lithuania. “High blood pressure is the leading risk factor for stroke and heart disease, and kills around 7.5 million people worldwide every year. Most of these deaths are experienced in the developing world”, explains lead author Professor Majid Ezzati from Imperial College London, London, UK. Experts feel that WHO’s target of reducing the prevalence of high blood pressure by 25% by 2025 is unlikely to be achieved without effective policies that allow the poorest countries and people to have healthier diets.